AUSTIN (KXAN) — Hemp cultivation and sale became legal nationwide as President Donald Trump signed the Farm Bill Thursday. It paves the way for a growing industry that includes cannabidiol oil, which can be used in certain health treatments. Hemp and CBD businesses applauded the move and signaled they hoped to expand their work in light of the new law. While CBD oil has been used in Texas and other states to treat epilepsy symptoms, the plant also has food, textile and building material applications. 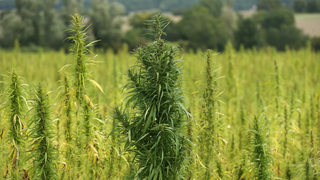 Hemp, while closely related to marijuana, has a much lower level of tetrahydrocannabinol, or THC. Marijuana is still illegal at the federal level. It's not clear at this time how the new law will affect industries in Texas. Earlier this year, supporters pushed lawmakers to legalize hemp farming. And, previously, the state only allowed people with epilepsy to use CBD oil to help treat their symptoms, but a senator submitted a bill for the upcoming session to expand the people who could use it. The farm bill reauthorizes agriculture and conservation programs at a rough cost of $400 billion over five years or $867 billion over 10 years. Negotiations had stalled initially over Supplemental Nutrition Assistance Program funding and whether there should be added work requirements for people to receive the benefits. Ultimately, the bill did not add work requirement changes, but the Agriculture secretary promised to implement regulations through another means. Romney also tweeted Friday that in reading the special counsel's report he was "appalled" Americans working on the Trump campaign had welcomed help from Russia. On Saturday, Trump responded via Twitter, saying if Romney "spent the same energy fighting Barack Obama as he does fighting Donald Trump, he could have won the race (maybe)!"